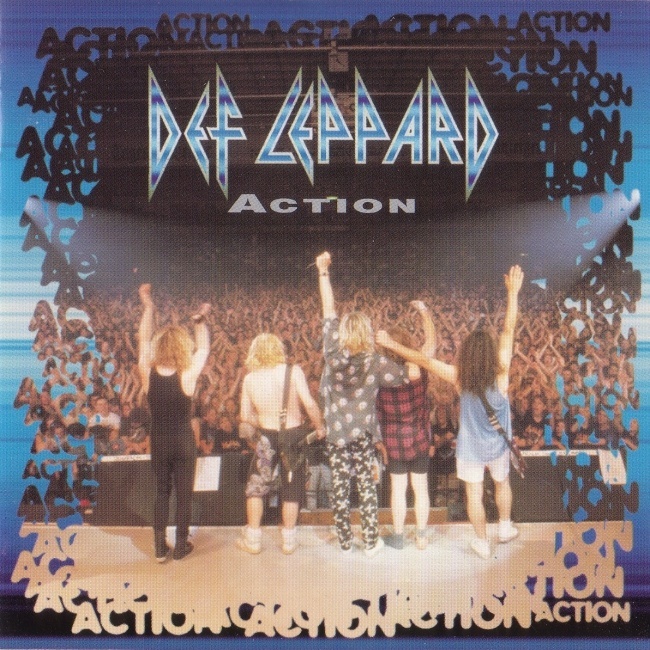 Def Leppard released their classic single Action 22 years ago on this day in 1994 in the UK. The song was the first cover version to be released as a single by the band. The original was released by Sweet in July 1975. It was first released as the B-Side to 'Make Love Like A Man' in June 1992 with a more electronic sounding snare drum. When putting together the 1993 'Retro-Active' collection of B-Sides and unreleased songs/versions the band decided to revamp it with a new snare drum sound. Vivian Campbell (along with friend P.J. Smith) sang backing vocals in one of his first contributions to the band. The song was included on the 'Retro-Active' compilation album and it reached Number 14 on the UK Top 40 single chart in January 1994. One better than Sweet's original which got to Number 15 in 1975. The front cover live photo was taken in Zurich, Switzerland at the Hallenstadion on 10th May 1993 at the end of an 'Adrenalize' world tour concert. "If you're going to cover a song there's two choices: either copy it exactly or do it completely different. We opted for the former and got Andy Scott's enthusiastic approval." "We wanted to do a couple of cover tunes for the 'Adrenalize' album B-Sides. We did this tune because we were all Big Sweet fans. Nuff said."